We have expanded on the success of Silvercrest Homes and its exceptional quality, custom, dream homes over the past 22 years to create the Silvercrest Construction Group. Our group consists of four main pedestals covering the full spectrum of commercial and residential construction services. 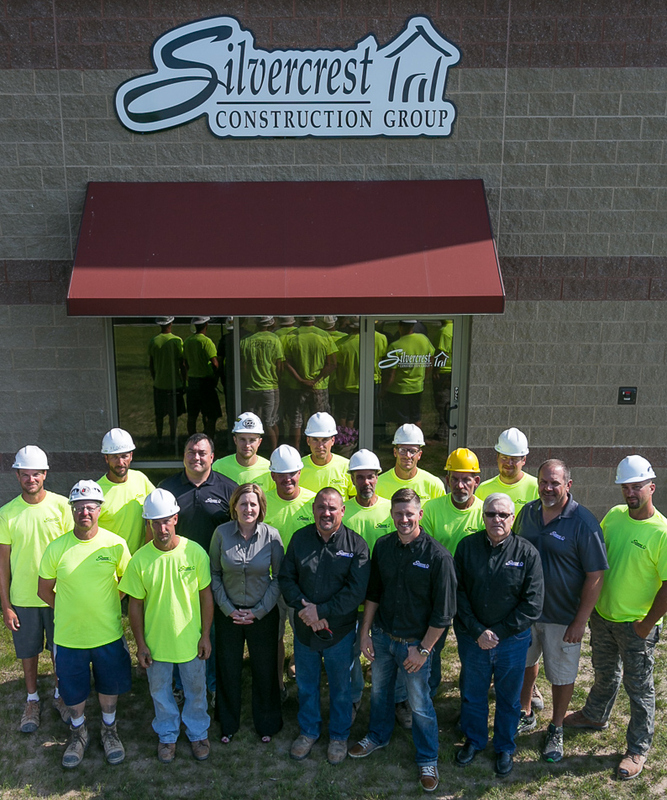 Silvercrest Construction Group offers services remodels, tenant build-outs, site development and ground up commercial construction services. We are well positioned to assist with both design and development of your commercial project. The construction industry is constantly evolving. New standards are created, new guidelines are established, and technology is improved each year to make buildings & homes safer, less expensive and more efficient. In order to stay up-to-date with current trends in commercial and residential construction, we are involved in multiple associations, continuing education courses and industry committees. After being in the field for over 40 years there is little that I have not seen and conquered in commercial framing. Competence, professionalism and safety are the three key elements to any project. Employing these key elements while performing on the job site, has had a profound impact on my career. I make a concerted effort to train my men and treat them with respect at all times. My favorite part of framing is just being on the job site. Nothing compares to the satisfaction of delivering a perfectly framed structure when so many people are counting on me.